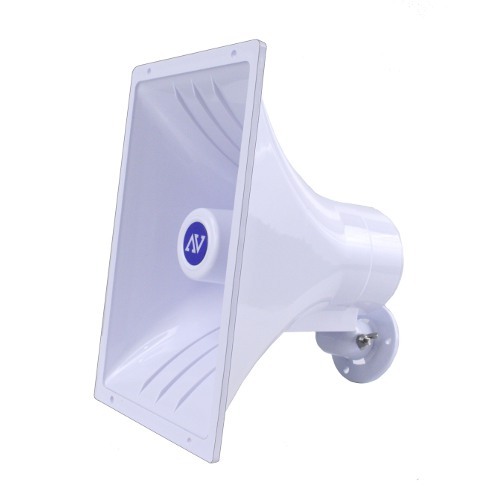 The typical horn speaker is usually made of metal or polymers and can withstand the outside elements better than the cone type speaker, making the horn speaker popular for outdoor PA use. 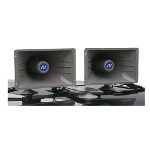 They are far more efficient, you receive more sound volume at a lower wattage, which also reduces both the size and power requirements of your amplifier. 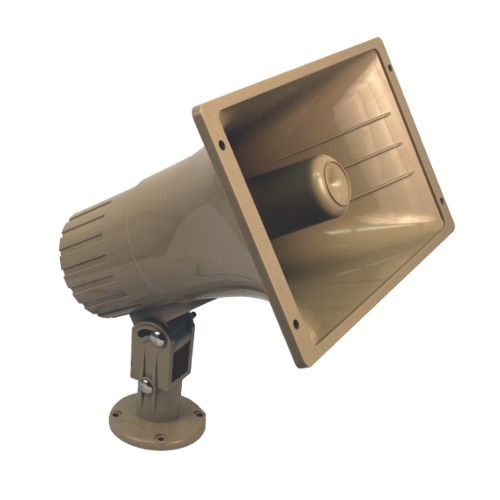 Horn speakers can be best described as "bright" in their sound. The higher frequencies are reproduced very clearly with virtually no bass. 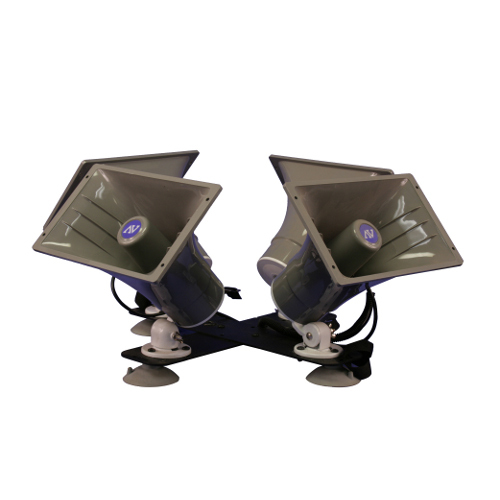 The limited frequency response is one reason they are so efficient, they don't waste energy reproducing bass frequencies. 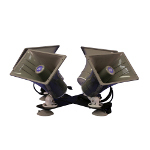 The speakers can also project farther without getting "muddy". 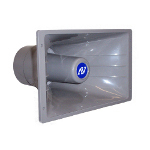 The end result is better intelligibility at longer distances. 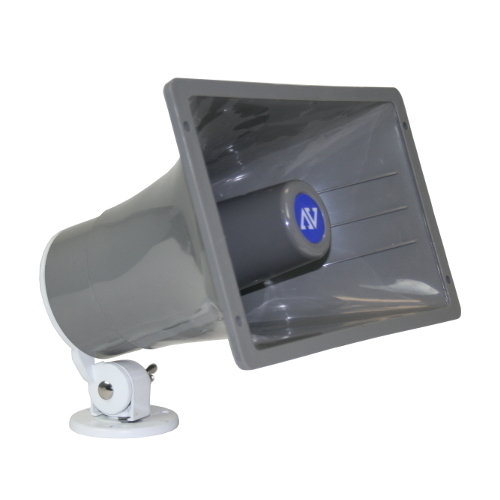 Speaker Assembly mounts on top of car, crane, golf cart or any type of vehicle. Mounts with suction cups and straps for either permanent or temporary attachment. Great for construction sites, campgrounds, police, fire and rescue personnel, and public demonstrations. Includes 12' Cord. Four horns with car-top mounting assembly. 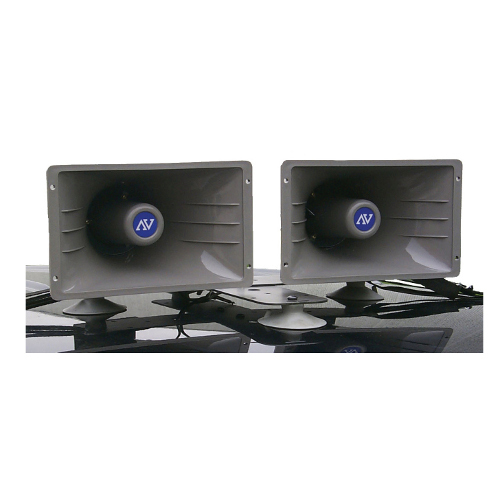 Universal 4 horn speaker module mounts to any vehicle, truck, or boat and easily adjusts for front - side - rear projection. 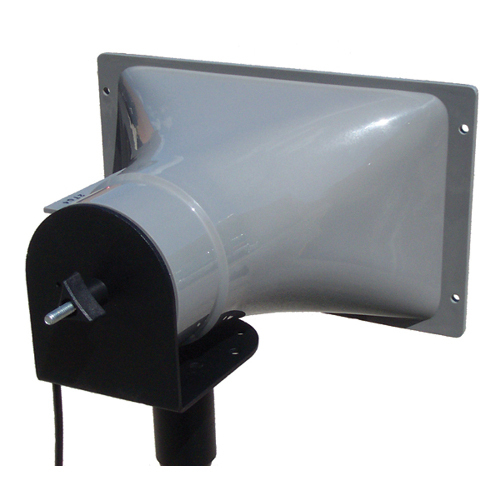 Wide Range Horn Add-On Horn Speaker. Comes with hardware for mounting on S1080 Tripod or any 1 3/8" Pole. 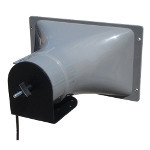 Wide Range Horn Add-On Horn Speaker. Comes with hardware for top mounting on S1080 Tripod or for replacement on sound cruiser. Does not come with Cord or amplifier. Add-on Horn Speaker - for S1264, 15-in. speaker cable, stacking bracket, hardware and Y-adapter. Wide Range Horn Add-On Horn Speaker. 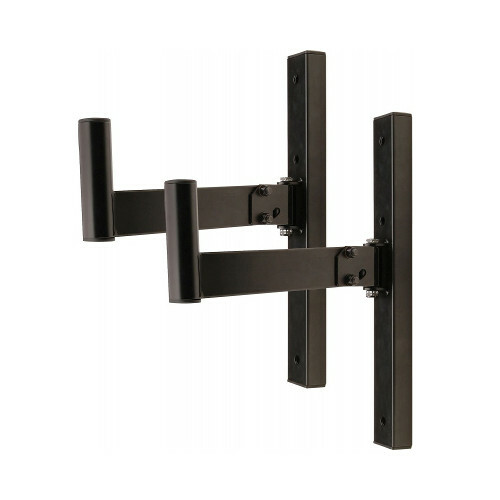 Comes with hardware for mounting on any flat surface. Easily adjust angle with wingnut. Almost 180-degrees of pivot action - 15-inch speaker cable with ¼” male end. Does not come with amplifier. Complete weatherproof horn for indoor & outdoor use made from a durable ABS plastic construction. Designed to connect to amp that supports an 8 Ohms impedance. 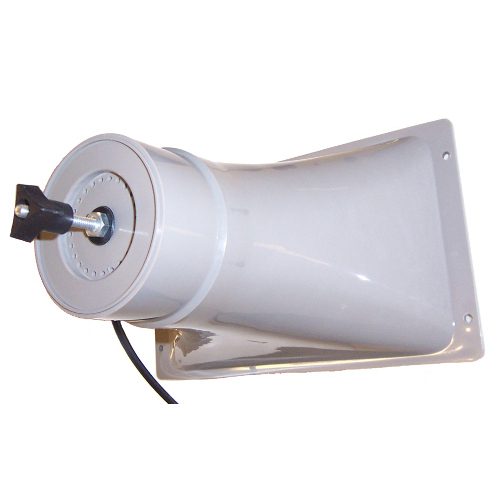 Includes white mounting base that pivots 90. AmpliVox professional sound quality, with a frequency response of 350 to 8k Hz. Comes complete with a swivel mount bracket for easy, versatile wall or pole mounting. Contemporary design, made of durable, weatherproof ABS plastic that will not corrode outdoors. Multi tap transformer with screwdriver adjustable power taps for 25v and 70v power taps. 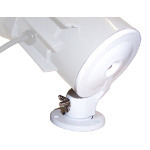 For mounting on flat surfaces - adjustable bracket features a tilting angle adjustment as well as a 30°swivel hinge. Angle adj: 45-90°; Swivel adj: ±30°. Fits 1-3/8” cabinet inserts. Shaft length: 13".